You could technically refer to Sharon Moody as a comic book artist, but that description would only be a half-truth. She was responsible for all the artwork in this issue of Superman, but only because that's actually a hyper-realistic painting of the comic book. 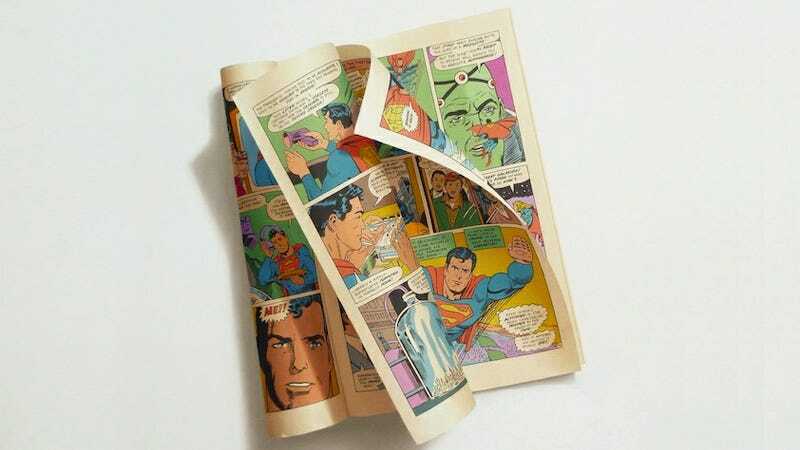 Sharon uses an oil painting technique called trompe l'oeil, and it's hard to distinguish the photos of her paintings from photos of actual comic books. Every last detail, from the perspective to the gradients in the shadows, is perfect. And it's all the more impressive given she paints the comics all rolled up, weathered, and curled in the corners.